Two days ago, at the Holiday gas station in the town where I live, I had a short conversation with a stranger (we were both filling spare gas cans and wearing Arctic Cat jackets…go figure!) about the sled I’m riding this year: a 2012 F1100 Sno Pro in 50th trim. 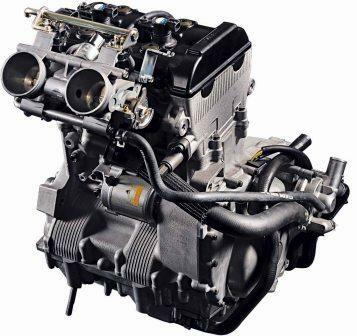 He was genuinely stumped about two things: Why did I switch from my 2011 F8 to a similar weight (but much less hp) 4-stroke; and why didn’t I chose an F800 or F1100 Turbo? Well, if you’re that guy and happened to read this, here’s a more thoughtful answer than my short reply that day at the pumps. Going from a 2011 F8 to a 2012 F1100? Despite being a lifetime rider of small-to-medium-hp sleds (500s and 600s baby! ), I fell in love with the 800 H.O. last season. It was an incredible engine that amazed me as much for its low- to mid-range manners as it did its searing top end. The fact that both my son (who is pictured riding the '11 F8 above) and wife loved this sled is testament to the fact that it can cruise at an easy pace just as easily as it can rip. Stepping down 40 hp to an 1100 wasn’t so much a choice of hp, it was a choice of chassis and ergonomics. More than anything else, those two areas are what distinguish the ProCross from the Twin Spar. I think the 2012 F1100 is similar to weight as the 2011 F8, but the way they two sleds feel are completely different. The ProCross platform reacts to rider input in a way that the Twin Spar couldn’t. I distinctly remember riding an F1100 through the town of West Yellowstone last winter. I like berm-shotting off the snowplowed banks whenever riding along the side of a road. The first time I did the little maneuver to get up on the 3-ft. bank, it reacted so quickly that it put me on top of the bank! No way would the Twin Spar do that with an equal effort. The F1100 ProCross is truly nimble feeling. Ergonomically, the new ProCross works way better for my 5’8” frame. The seat is narrower and shaped so that I can easily hang off the side while cornering, something that was far more difficult on the Twin Spar. -While purely subjective, I think the ProCross looks way cooler than the Twin Spar. Especially with the 50th trim, which makes me feel like Dimmerman or Elsner. This is especially important at this time of year, when I spend a lot of time looking at the sleds in my shop. LOL. The Twin Spar might be the best all-day cruising sled ever built. 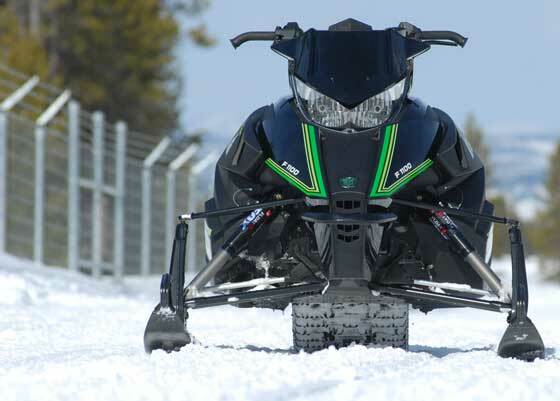 If I get to notch a 200-plus mile day this year on a ProCross, I’ll have a better opinion about which sled is better. But most of my rides are 100 miles or less. Bottom line, the 1100 ProCross package brings out a fun-factor that I never experienced with the Twin Spar platform. Why an 1100 4-Stroke instead of the 800 2-Stroke? I had a long, tough internal debate about which motor I was going to go with. As I mentioned above, the 800 H.O. is a sweetheart of an engine, with no trade-offs in terms of fun and civility. Riding the 1100 for a few days in West Yellowstone, I came away thinking how much better that engine feels in a lighter, narrower and more responsive package (ProCross) compared to the Twin Spar. Seriously, I believe that had the 1100 engine made its debut in ProCross, that it would never have gotten the less-than-enthusiastic snub that some have given it. -During acceleration, the exhaust note doesn’t give the same perception of speed/power. -The required break-in procedure will really test my attention span, and my patience. After spending a week debating the pros and cons in my mind, I opted for the 1100. This will be my first 4-stroke sled, and the curiosity of that helped push my decision. I love the 4-stroke dirt bikes I own, and that transition (from 2-strokes) was seamless. I will reserve final judgment until I’ve logged enough miles to have a more informed position. I may regret my decision not to get the 800, but from a practical standpoint, I believe that it will be easy to sell used F1100s for quite some time. Likewise, used sled prices are (finally) in that range that it’s possible to buy/sell every year or so and not feel gutted. So if I absolutely must go back to an 800, it won’t be a financially wrenching process. 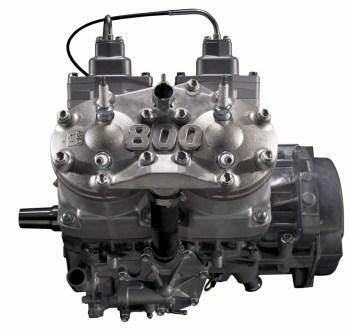 Bottom line, the 1100 engine blossomed when it sled into the ProCross chassis. It’s in my preferred hp range and it offers some new conveniences that I expect to enjoy. Why the standard 1100 instead of the Turbo? This one’s easy: I almost never feel the need to go 115 mph, or whatever top-speed the Turbo will hit. Seriously, I predict that there are going to be some very surprised Turbo owners who, if they’re completely honest, will wonder why they bought a sled with so much speed/power on tap. For me, this is too much engine/too much speed for the kind of riding I do. It’s also heavier than the non-Turbo, and more expensive. If I wanted more than 120 hp, I would have chosen the 800 over the Turbo. I prefer the 800s more instant low- and mid-range hit to the slightly lazier Turbo, as well as its lower weight. When I lean on an engine’s power, it’s for the “hit” rather than terminal velocity. Like popping the front end in the air off a ditch approach, or those first 5-10 seconds of acceleration from a dead stop. Bottom line, the Turbo is about insane top-speed, and that’s just not my priority. If you want another, more spec-detailed story about what I think of the 2012 Arctic Cats, read THIS POST from last spring. So, to the guy at the Holiday station: that’s the longer version of what I was trying to express that day. John, Good luck with the NA.... we all will look forward to the reviews and updates once you get some saddle time. I bought a used 08 Z1 last season to try out the 4s in thoughts of buying a 2012. Wasn't happy with it in the twin spar, mostly due to the engine breaking and it's inconsistency. Hopefully you can report that Cat has that issues corrected in the new chassis sleds ! Don't worry, Todd, you'll get some seat time on my sled. The twin spar is nice... too nice. You ride on it but it just isn't as fun to drive as say my old F7. I too opted for the 1100NA Retro for many reasons -- one of which is the price of sleds today. A 10K plus sled needs an engine that is just breaking in at the 10,000 mile mark. The 4S engine is quiet, smooth, sneaky quick, and gives great mpg's. Turbo's are overkill and way more power than any trail rider needs. The NA fits the bill very nicely. For me, my 08 F10 was a huge dis-appointment when it comes to top speed.. I came off of a really good running 03 f7 that would do 110+ no prob and my F10 couldn't go that fast.. what a let down!! I'm hoping this new 2012 1100 turbo doesn't have this issue!! country cat called me and told me my new sled is in...I have never ever been this excited to go spend $13,000 before!!!! to add to the excitement, we just got our first snow cover here this morning!! 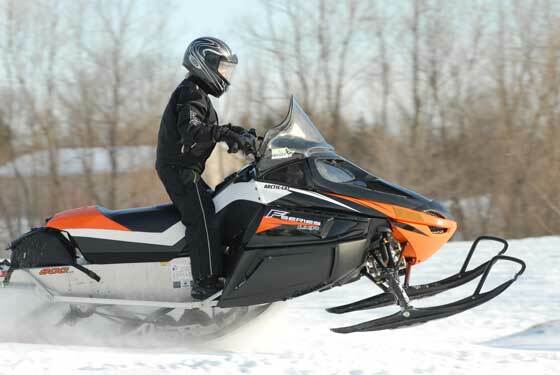 I live in the land of 10,000 lakes and lots of big rivers and abandoned rail road beds so having a sled that really pulls hard from 80 on up with outstanding top speed is a must have for me!! You have some interesting comments about the 1100 NA four-stroke. I seriously considered ordering one last spring when I decided to upgrade to a new kitty from an '09 Crossfire 600. However, after much careful thought, I decided to go with the 800cc two-stroke in my XF Sno Pro for a couple of reasons. First, I like the high power to weight ratio of a two-stroke. We do mostly off-trail riding (riding on trails is about as boring as driving a car down I-94 and I do enough of that each weekend commuting between Minneapolis and Thief River Falls) in northwestern Minnesota and when you are in waist deep fluffy powder riding across farmland that is in the CRP or riding through the swamps up by Fourtown, you want the machine to be as light as possible. That becomes even more important if you are unlucky (or unskilled?) enough to get stuck. Secondly, I like the compactness and ease of maintenance of a two-stroke. Not only is there a lot more room under the hood with a two-stroke but anyone with a basic knowledge of engines can overhaul one. Maybe a few years down the road I might consider a four-stroke. It will be interesting to see what Cat comes out with when they start building their own engines. Meanwhile, keep us posted about your experiences with the four-stroke once you start riding it. And, maybe I will find one to take for a test ride this winter. I think the big disappointment for most of us snowmobilers was that Cat did not come out with a direct injection two-stroke engine like Ski-Doo has. That would have been the "cat's meow" as it would have offered all the benefits of both types of engines with very few of the disadvantages of either. Time will tell if Cat does offer that in the future. P.S. Install a mountain seat on your new kitty like I did. You will appreciate the greatly improved ride! That top picture of the 50th is really sweet! Torque is what gives you the "hit" when you lean on it for a few seconds. This is where the 4 stroke shines. Horsepower is for top end. I was curious about the 4 stroke as well. I'll be riding an XF1100NA in 50th trim this year. I thought the turbo might take me places I didn't necessarily need to be not to mention stuck in deeper snow. I had an 03 ZR800, a macho fun sled. Put over 14,000 miles on it, trouble free. Traded for an 07 Z1, super comfortable, high mileage sled, but no sizzle factor. Put over 8,000 miles, again, trouble free. Traded for an identical sled to yours, looks like I'll have the sizzle of the ZR, and the easy maintenance and comfort of the Z1. Will Cat be able to race the 1100 in USCC? The Iron Dog has made it legal for the 1100 to compete, so I'm hoping we will see a team or two using them. 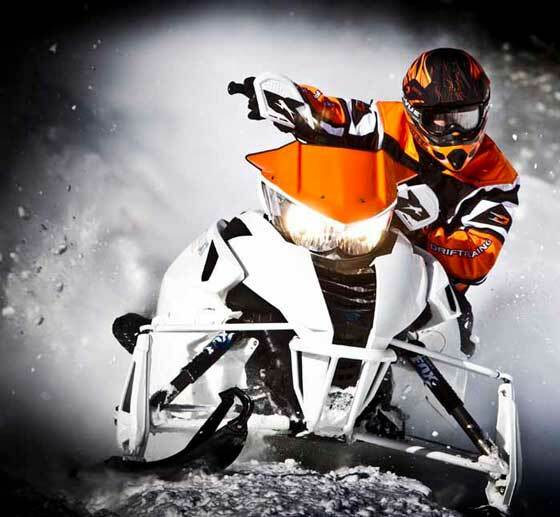 The ISR rules state the sled has to 1049cc or under. The 1100 is only 7 cc's larger and makes less HP than a Nytro so I don't see why an exception couldn't be made? There was a post in the USCC forum that said the 1100 was not legal for USCC. That seems like a step backwards for the industry. It is only a matter of time before 4-strokes completely take over due to emission regulations so let the 1100 race. The R&D will benefit not just CAt but the industry as well. Cat offered the 1100 on the race program so they intended to race it but have they been denied the opportunity in USCC? New '12 Cats look great! Will there be any demo rides available this winter ?? Seriously? No one knows if the 1100 will be allowed to run in the USCC? There is a single team running the 1100 in the Iron Dog. Do people have an aversion to this sled because it is a 4-stroke or is it really that much of a dog motor wise? A 4 stroke non turbo is a big let down. My new 4 stroke 1100 turbo is da bomb! Your compaing the twin spar 800 to procross 1100. Great article there genius.